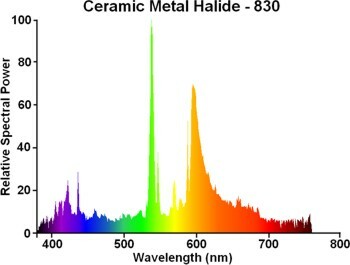 In 2003 the CDM family of Ceramic Metal Halide lamps was further extended into former halogen territory, by providing an attractive alternative to the immensely popular AR-111 halogen display lamp. 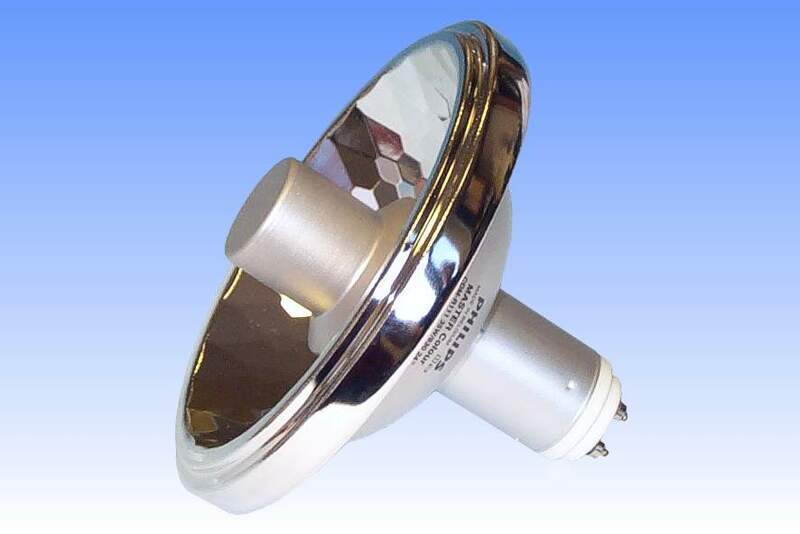 The reflector is of an attractive multi-facetted spun aluminium design and mounted at its focus is the arc tube of a slightly modified mini CDM-TC compact capsule lamp. Perhaps the most important part though is the glare shield cap which is affixed over the top of the capsule and screens the arc tube from direct view. A flared rim to the shield acts as a secondary internal reflector to capture forward light from the arc tube and send it back to the main reflector to be precisely collimated into the beam. This kind of glare shield is partly what made the AR-111 halogen lamps so popular. Beams of light can be produced which have a very sharp cutoff around the edge, and consequently the glaring intensity of the arc tube can only be seen through its reflections in the mirror, these only being visible when staring directly into the beam. The large diameter of the reflector also allows tighter beam angles to be attained with ease, permitting luminaires project their light from greater distances and be positioned out of view. A new GX8.5 cap of the twist-lock style is fitted to the lamp to facilitate replacement at end of life. 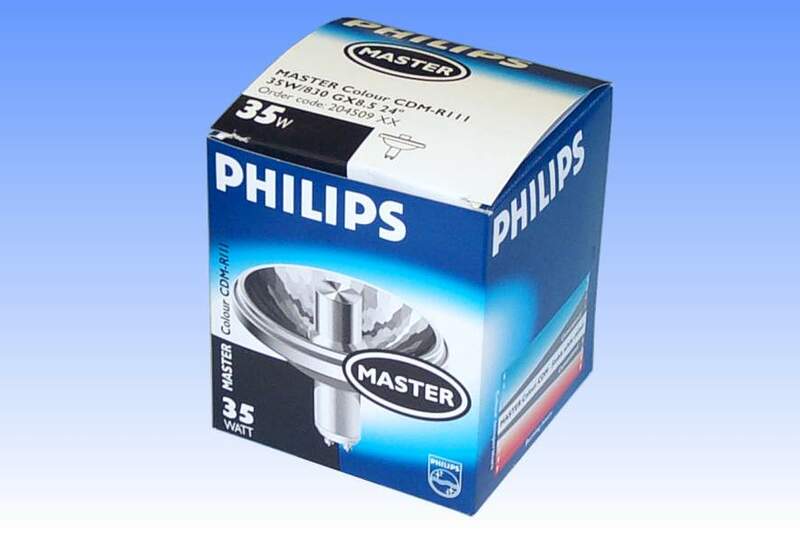 To minimise the system cost and complexity of upgrading from halogen to CDM, this lamp is accompanied by a new PrimaVision twin-lamp electronic ballast from Philips. This is most appropriate since the majority of stylish luminaires designed for the AR-111 make use of a pair of lamps.